iMuseum 3D 'Manx Crosses' viewer - Gooii: Award Winning Website Design & App Development Nottingham. iPhone, iPad & Android Apps. Virtual Reality & Augmented Reality. Manx National Heritage are creating digitised 3D models of hundreds of the most important Manx Crosses from the island, producing extremely detailed models for both conservation and research purposes. These models are stored in MNH’s Sketchfab channel. We were commissioned to integrate the Sketchfab viewer within the iMuseum website itself, via use of the Sketchfab API. 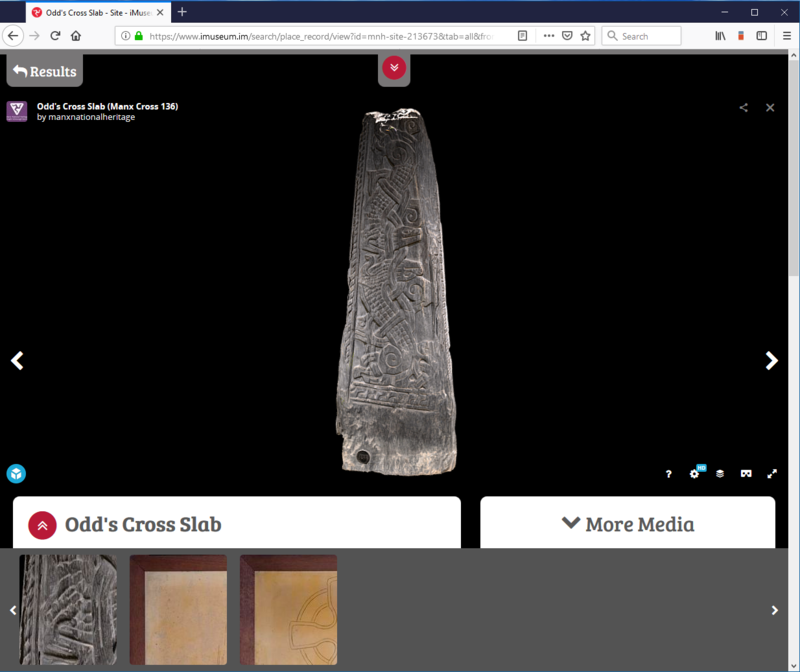 Now when a Manx Cross is viewed on the website, the 3D model loads, allowing users to rotate, zoom in and out, and choose which layers they wish to see. Users can also view the 3D models using a VR headset for full immersion. We worked closely with Manx National Heritage and Knowledge Integration on this enhancement.